The researchers focused on intra-epithelial lymphocytes(IELs) which reside just below the epithelial cell layer that makes up the walls of the intestinal tract. IELs play an important role in the immune response to foreign invaders, they are essentially the first line of defense against bacteria trying to setup shop in the intestinal tract or penetrate the intestinal lining. Mice involved in the study were given a specific diet that was devoid of “cruciferous vegetables”. Those given this diet showed a reduction in the number of IELs residing in their gut. They also looked at mice that were genetically modified to not have IELs. Both mice groups showed similar problems with regards to being able to control the microbial flora in their digestive tract as well as showing a slowed ability to heal from damage to the intestinal tract. It appears that cruciferous vegetables contain compounds which bind to “aryl hydrocarbon receptors”(AhRs) which the IELs express. When these compounds bind with AhRs it promotes the continued growth of IELs. 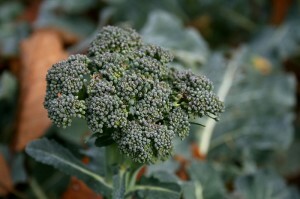 Cruciferous vegetables are largely made up of green leafy vegetables as well as mustards. Some people with digestive issues have trouble with fibrous plants & care should be taken when adding these plants to a diet that previously did not contain many or any of them. People who cannot tolerate them raw may look to incorporate them into gently cooked dishes. One thing to note is that the detection of high levels of IELs has often been a hallmark of inflammation. While this doesn’t mean that promoting IELs by eating more vegetables will lead to more inflammation, it would suggest that IELs are not the root cause of Inflammatory Bowel Diseases.